The Rebel Sweetheart. 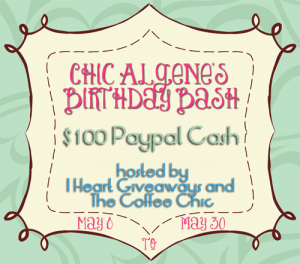 : Sign-Up | Chic Algene's Birthday Bash. Join Chic Algene as she celebrates her birthday this coming May! $100 Paypal cash up for grabs, plus the opportunity to increase your social media following. Event details and sign-up form are here.